ASUS was founded back in 1989 and has a long history in the computer hardware industry and their product line virtually encompasses all aspects of the computer hardware industry. Their product lines cover motherboards, graphics cards, headsets, mice, keyboards, networking, drives, tablets, notebooks, desktops, monitors and I am sure several other product classes that I am forgetting. 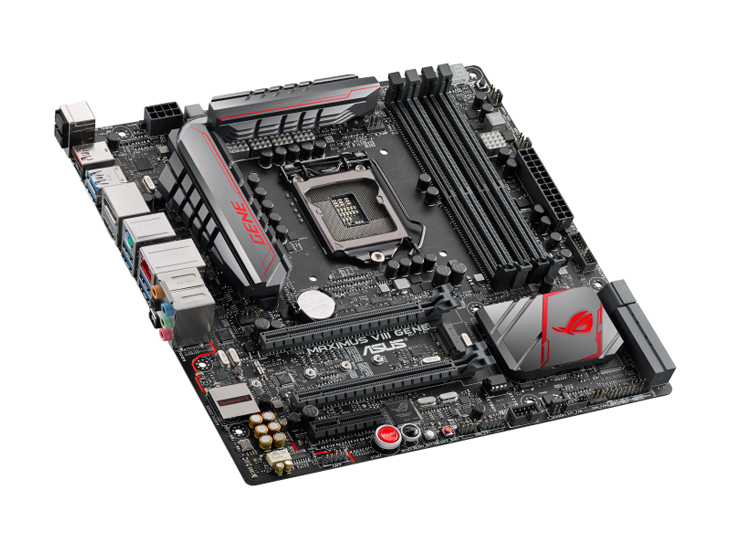 So you can see how diversified ASUS is within the computer hardware industry, which brings us to motherboards. 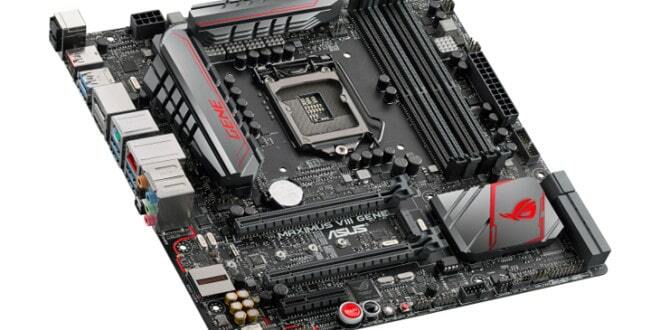 Motherboards are one of ASUS’s crown jewels because this is the foundation that ASUS started on back in 1989. This was back when ASUS couldn’t even get an engineering sample from Intel and designed a board without one. 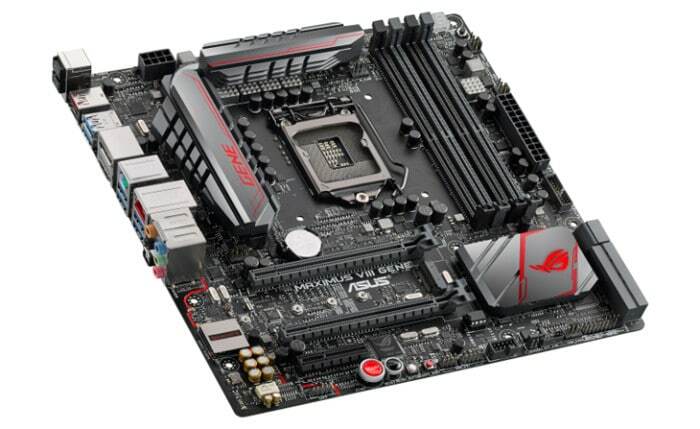 Intel according to rumors couldn’t solve a problem with their board design however ASUS managed to solve it. Going forward since then, ASUS has been on the leading edge of motherboard design with close contacts spanning across the industry, with their boards being the beating heart of most PCs. 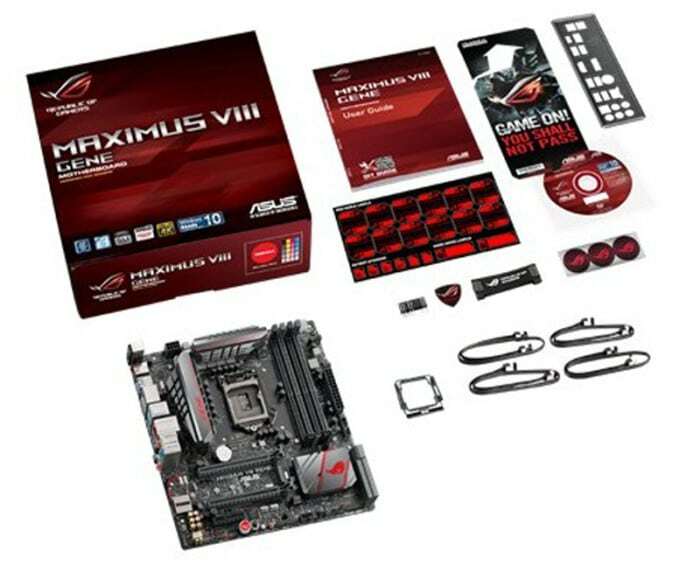 This brings us to a very special new Z170 board from ASUS that is designed for Intel’s new Skylake chipset, the ASUS ROG Maximus VIII GENE. 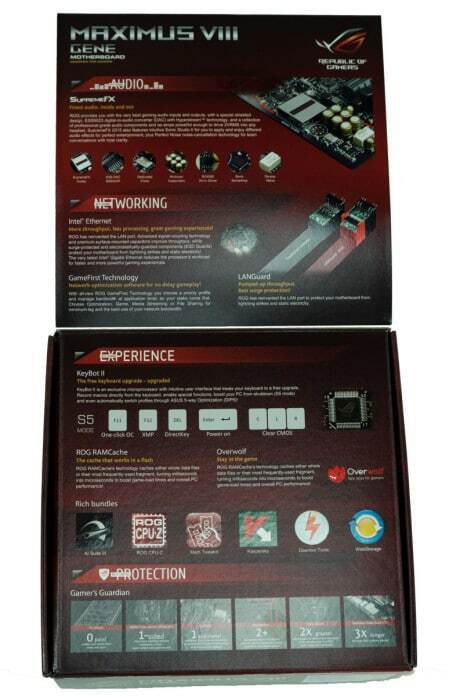 You might ask what makes this board so special compared to the competition and others in the ASUS product line. 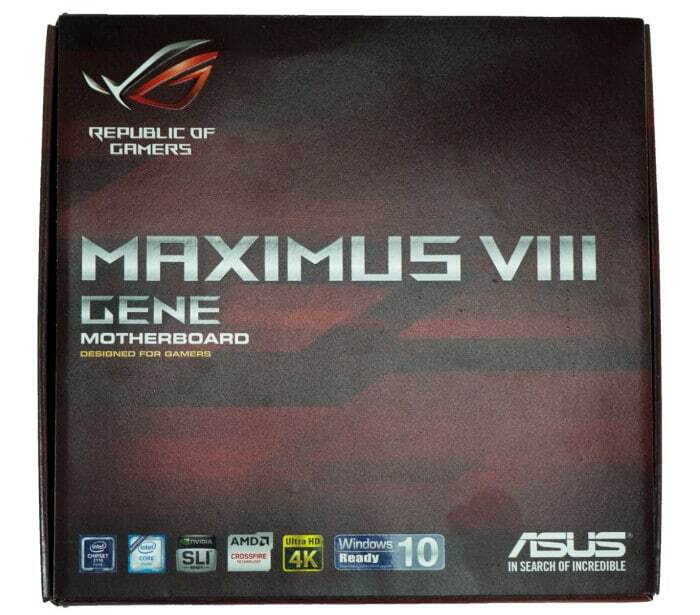 Well this happens to be one of its legendary Republic of Gamers (ROG) line of excellent products. So what is Republic of Gamers (ROG)? 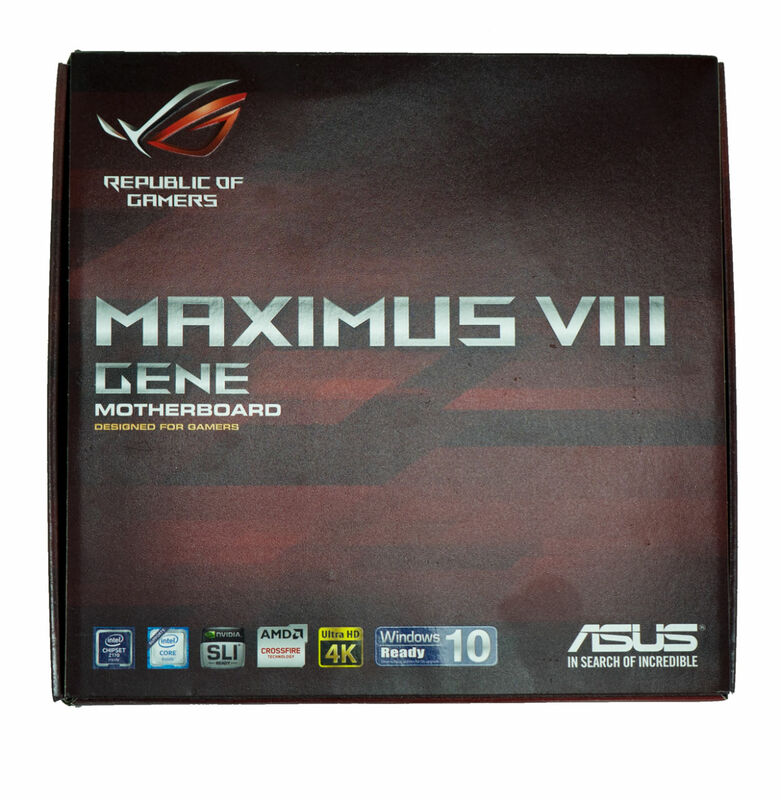 ROG is ASUS performance brand designed for gamers, overclockers and power users. To give you a good example of what ROG is to ASUS, it is like what AMG is to Mercedes Benz or M is to BMW. 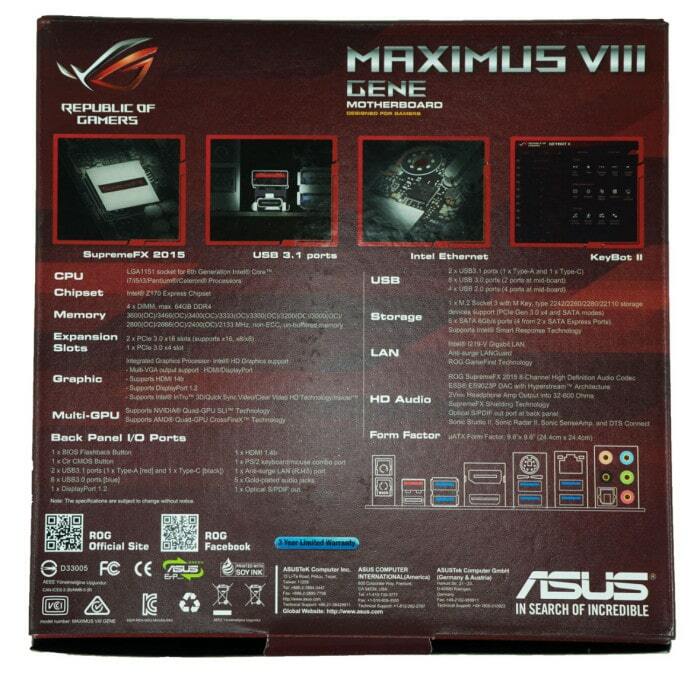 The question we are here to answer is whether the Maximus VIII GENE live up to the ROG brand name or not. 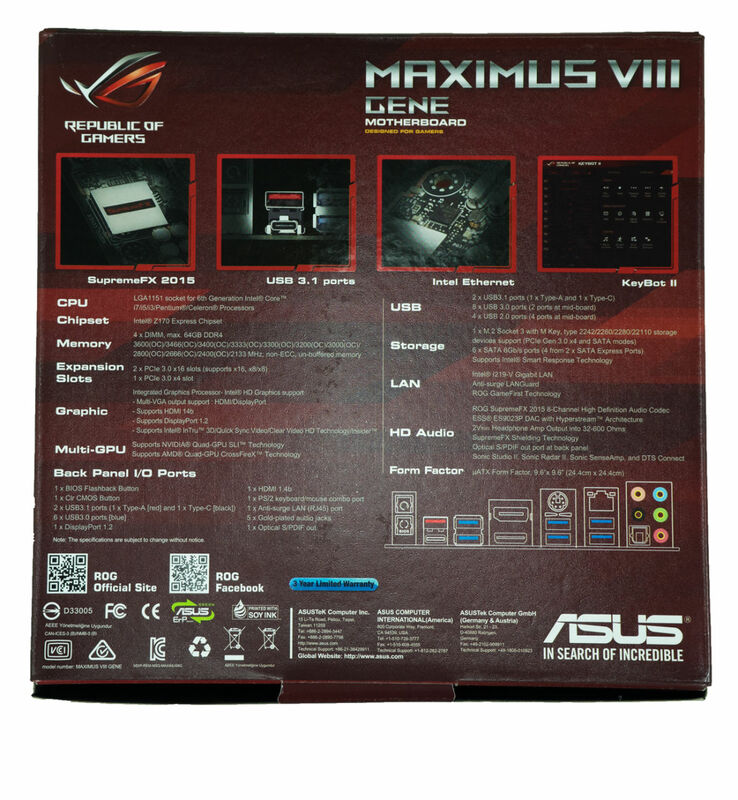 As with all ROG packaging with the exceptions of a few minor editions, the Maximus VIII Gene packaging sports the sinister variations of red that have become the livery that hallmarks ROG packaging and lets you know that something special is within! The front of the box is actually composed of two parts. 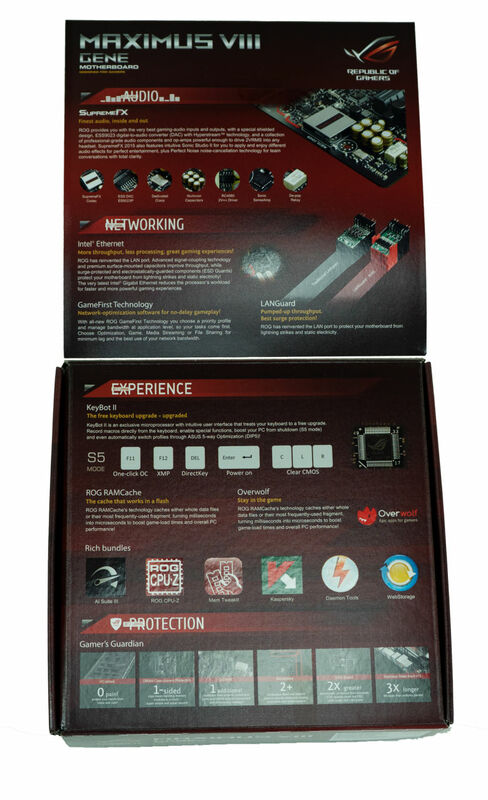 The first is a cover that uses the standard red livery of ROG boxes and has the signature ROG logo in the top left corner. Upon opening the front cover, we see descriptions of some of the key features in an organized fashion, broken down by audio, networking, experience and protection. The back side lists the board specifications. Inside of the box we immediately find a sheet that has 12 ROG cable stickers allowing the user to label their cabling. 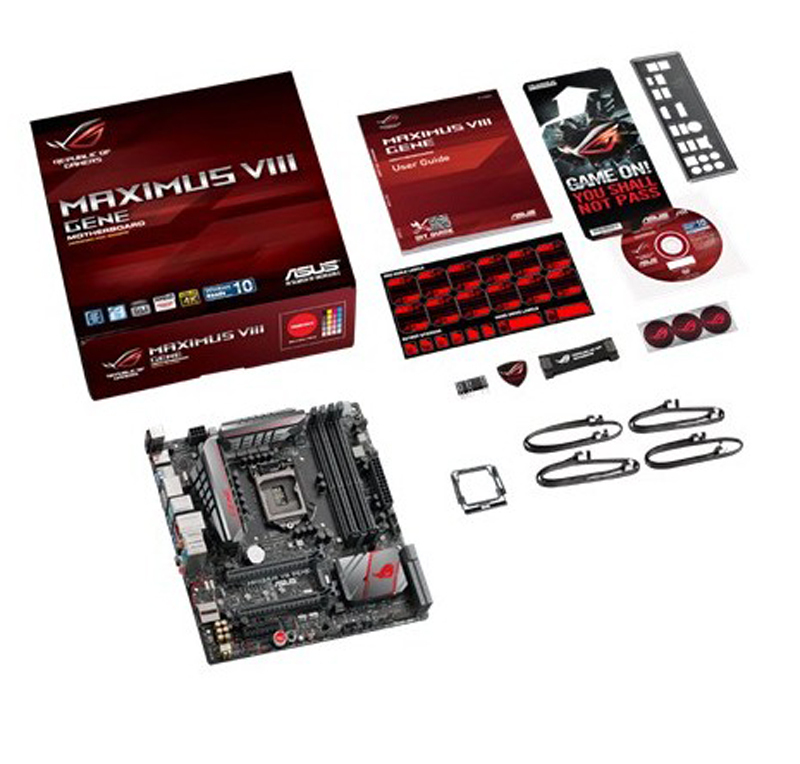 Next we find 3 ROG fan stickers, 4 SATA 6Gb/s Cables and one ROG door hanger to let others know you are gaming. Also included is a black nickel coated Q-panel that has been deburred to remove any sharp edges, a user manual and a disc that features all the drivers, utilities and bonuses like 1 year of Kaspersky anti-virus, Damen Tools Pro and PC Cleaner. The ASUS ROG Maximus VIII GENE is a wonderful Micro-ATX board that is packed full of hardware and software features to make any Gamer or Overclocker happy!